Having a child can be one of the most enriching experiences of your life. Giving life to a little one and then caring for them while simultaneously guiding and protecting them makes parenting a truly unique and engulfing experience. This does not mean that it is easy by any means and most parents are not afraid to tell you that. Kids can certainly be a handful, it is a part of their care-free, questioning and observing nature. They are drawn to everything and have little to no fear, making them quite a handful. 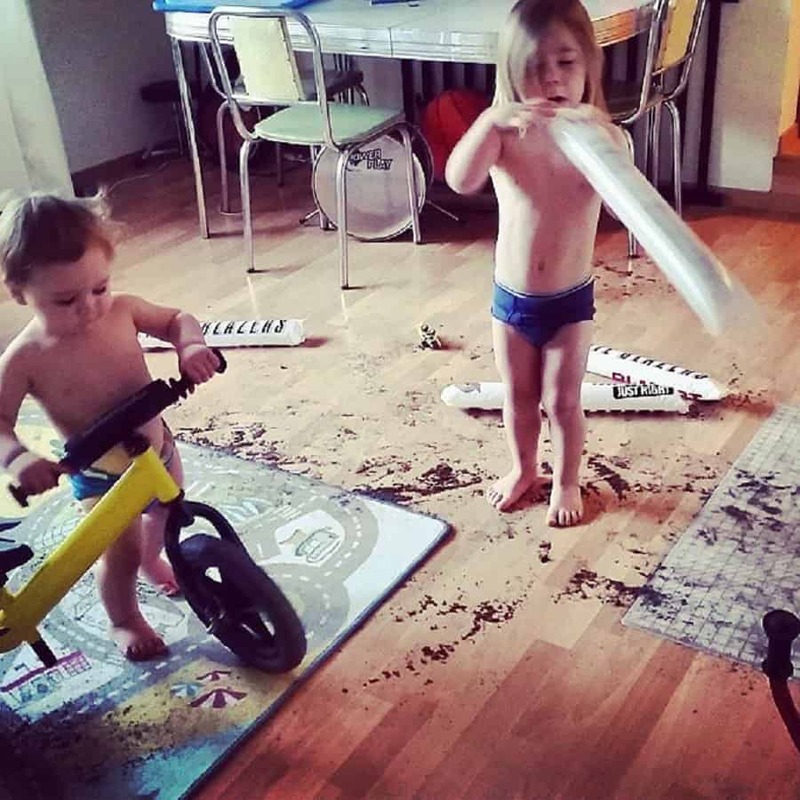 Here are 20 pictures that prove that parenting can get really messy at times, making it a challenge unlike any other. Feeding your child can be one of the biggest challenges in the world. 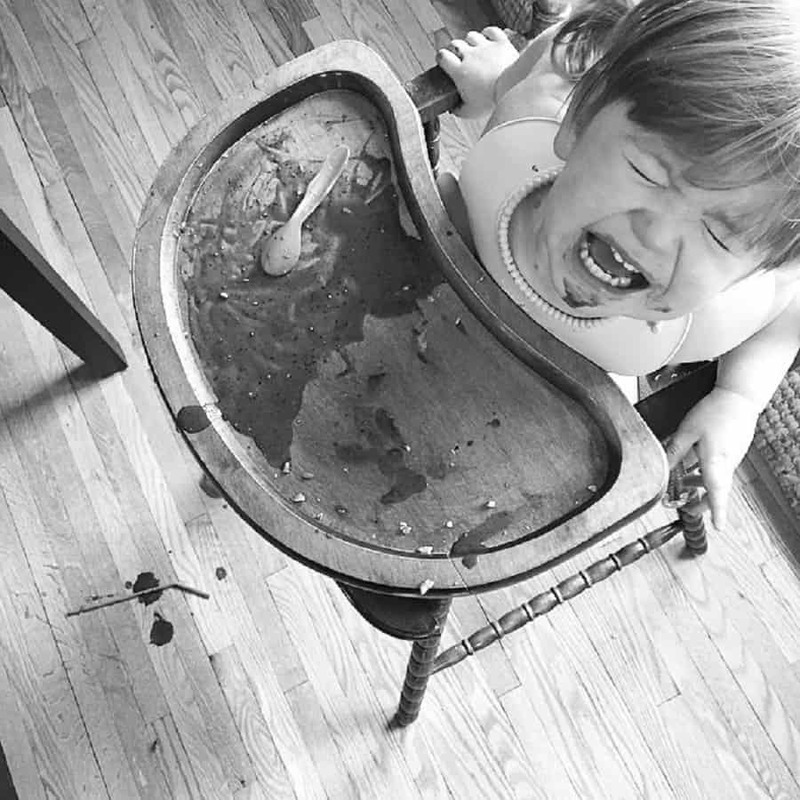 Children are capable of displaying an iron will when it comes to keeping their mouths closed, making feeding time a messy affair. 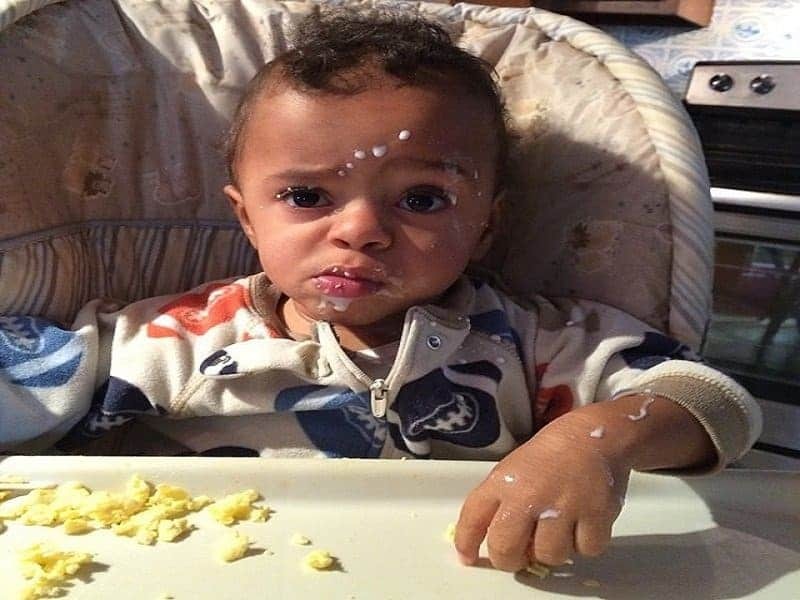 When it isn’t time for them to eat, children can get surprisingly hungry and put anything and everything in their mouth. Sealing off garbage is a must, otherwise the consequences could be disastrous. 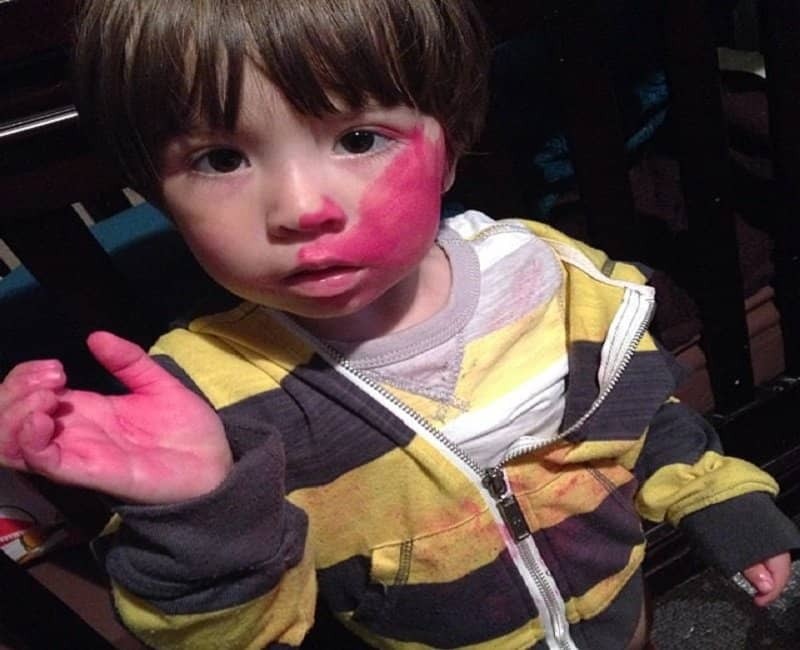 When children try to discover their hidden artistic skills, things can get really colorful. This extends to their own face not to mention your floors, walls or anything around them. If there is any mess in your home, you better get to cleaning it quickly. 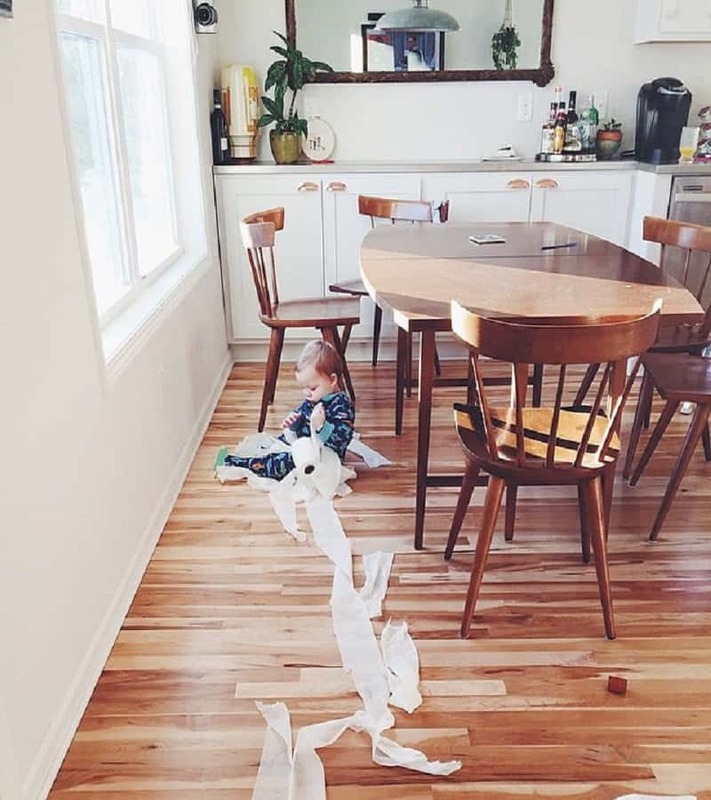 Your child could reach the mess before you and you certainly don’t want that. This baby will someday look at this picture and shudder at what was once in their mouth. It takes very little to entertain a child, so anything in your house that can be reached falls under this realm for them. 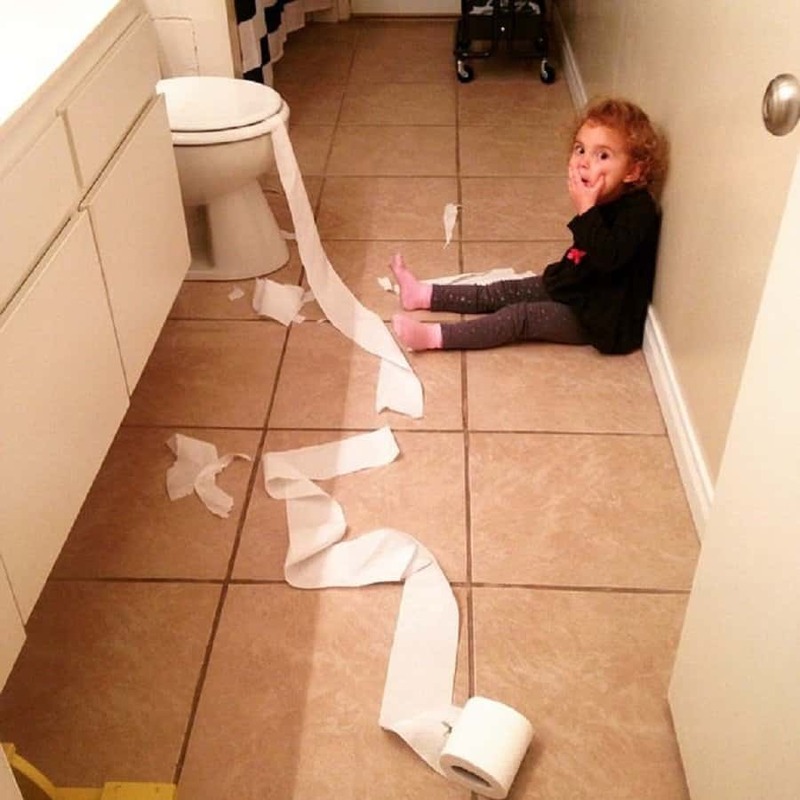 If you have a child and a pet at home, it probably means that you experience a whole new range of problems everyday. 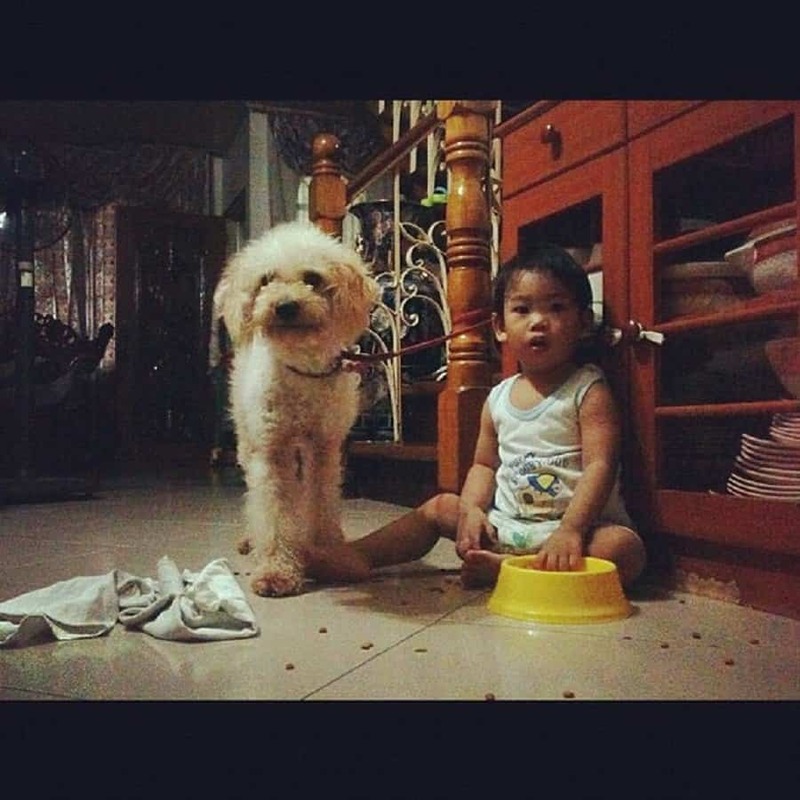 We can see a child enjoying a healthy snack from the dog’s bowl in this picture. 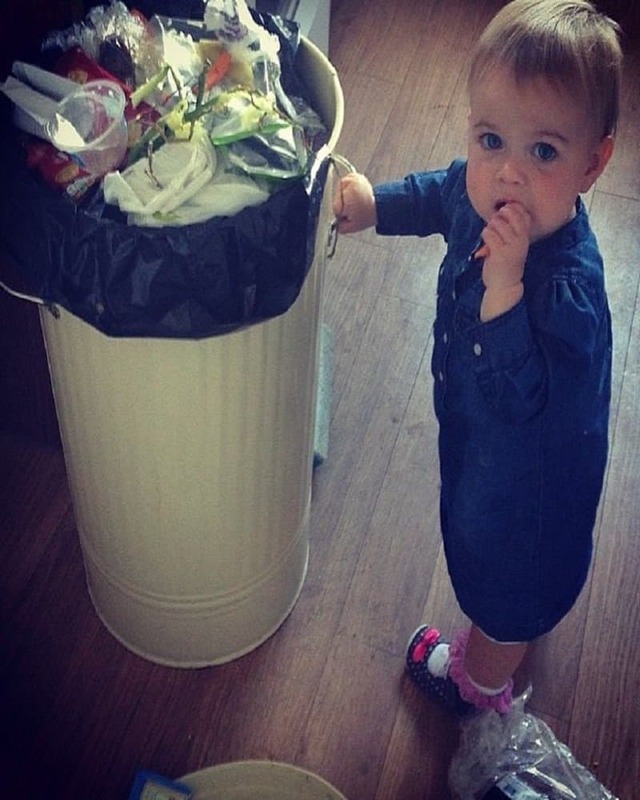 Children have a natural tendency to be helpful. 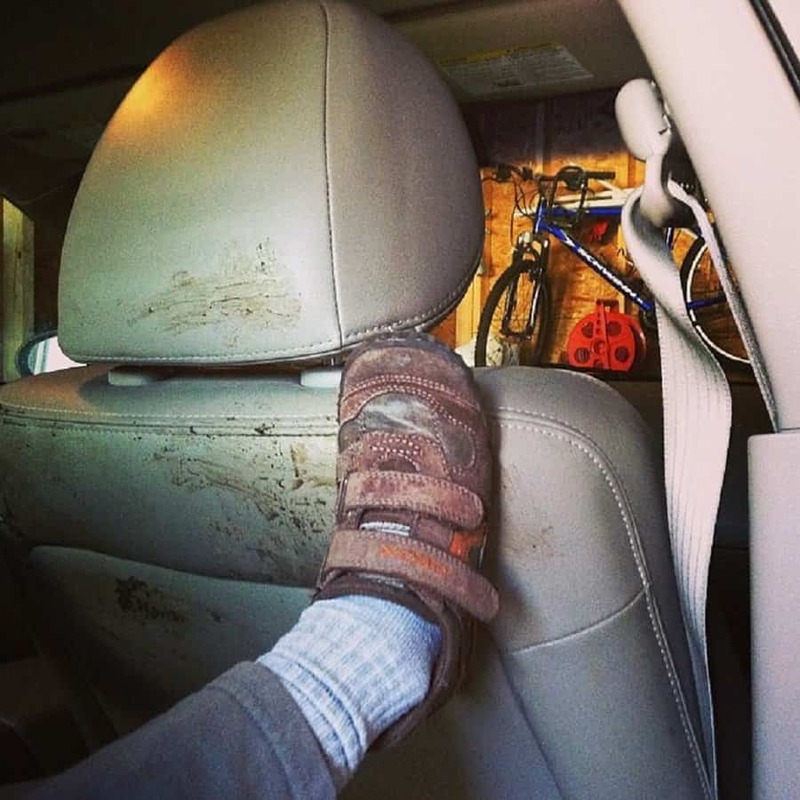 Sometimes when this happens, it can lead to a different kind of mess, one that you don’t mind cleaning. 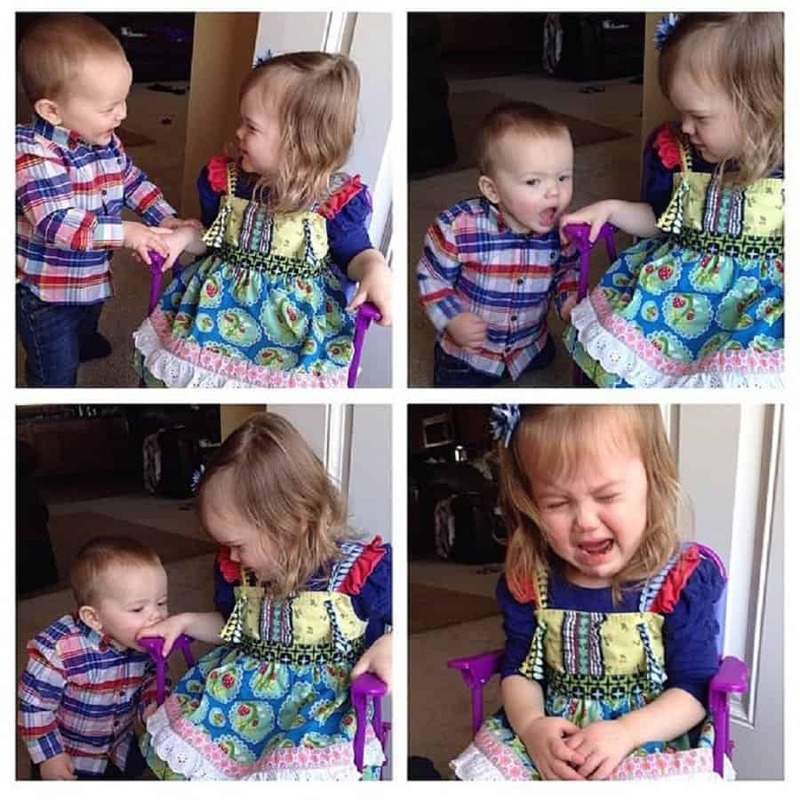 If you have more than one child, chances are you are used to experiencing conflict between the two siblings. Things can get tricky at this point at you are in for a few drawn out crying sessions. 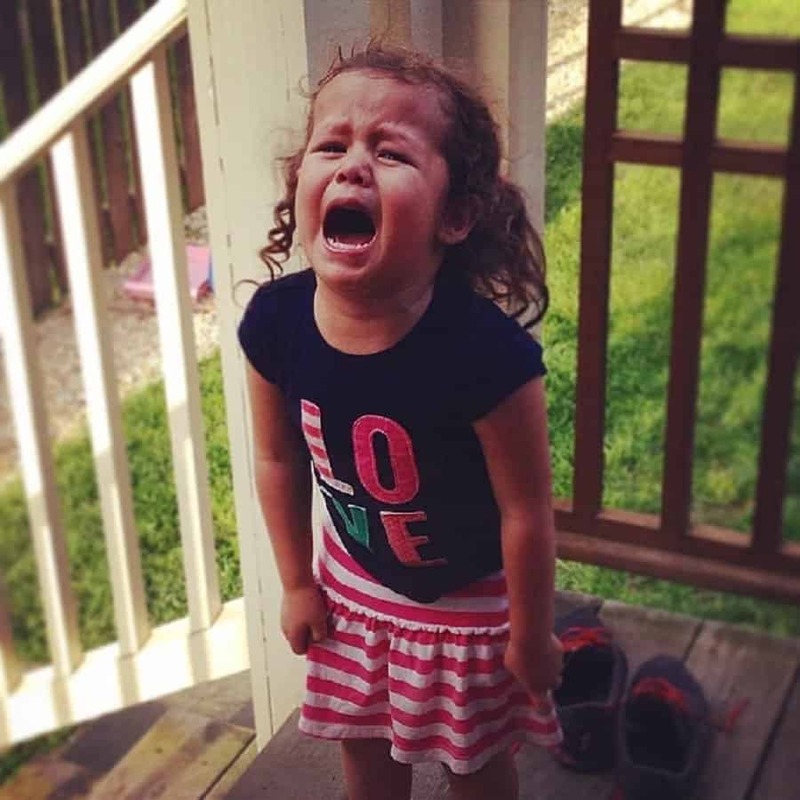 Kids are famous for their tantrums, whether it is in your own home or in a public place. There’s no escaping this, no matter how many times you’ve been through this… it’ll always happen again. 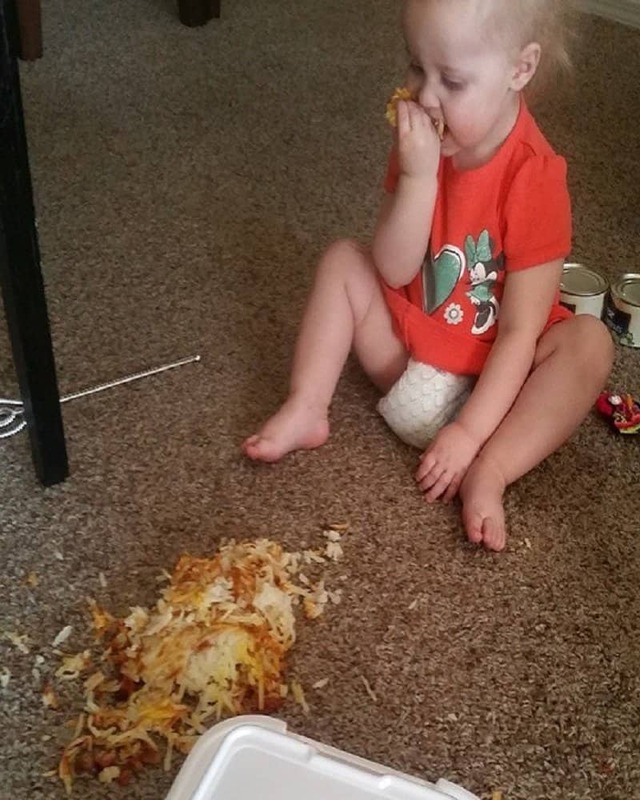 Sometimes children can surprise themselves with their own powers of destruction. 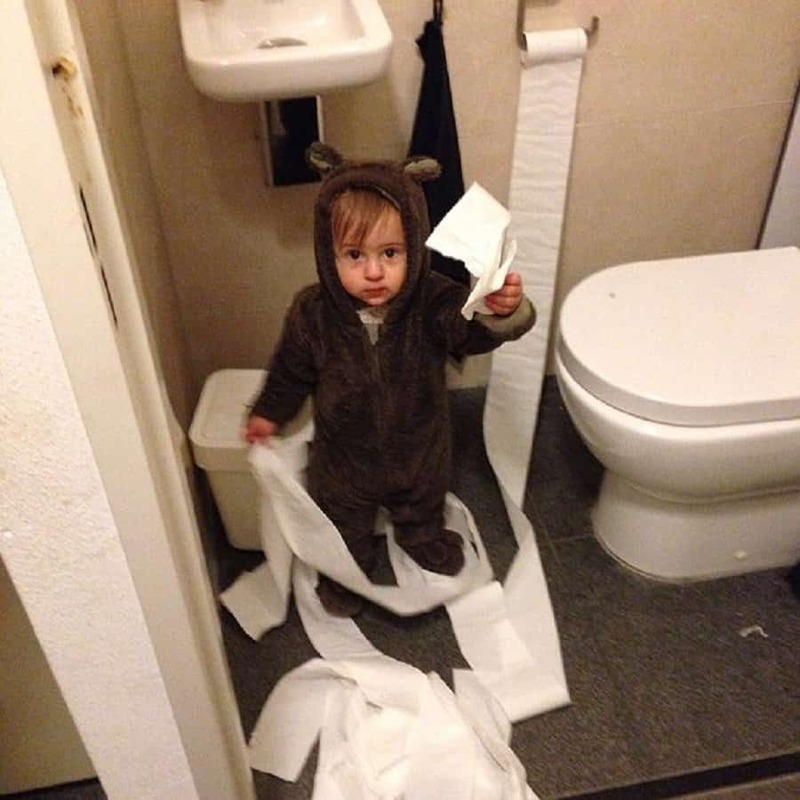 This child is clearly shocked at the mess she just created in the bathroom. She has the ‘that escalated quickly’ look on her face. It takes a lot of toys, balls and puzzles to keep a child entertained these days. When they get down to playing with all their toys, you better clear some space for the impending mess. 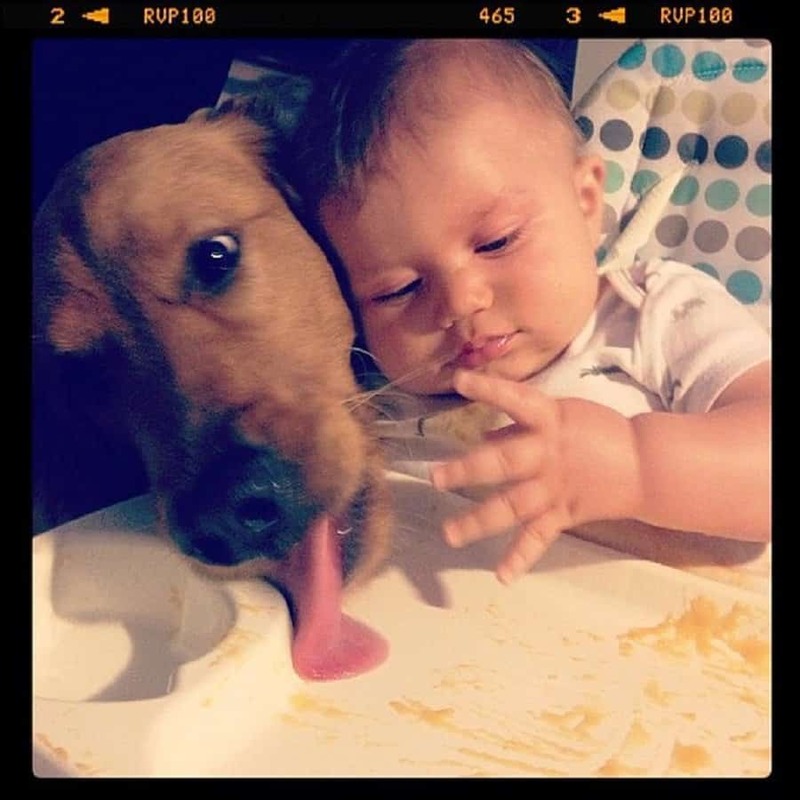 Your pet and your child will always share a special bond, one that is usually cemented by the inadvertent exchange of saliva. 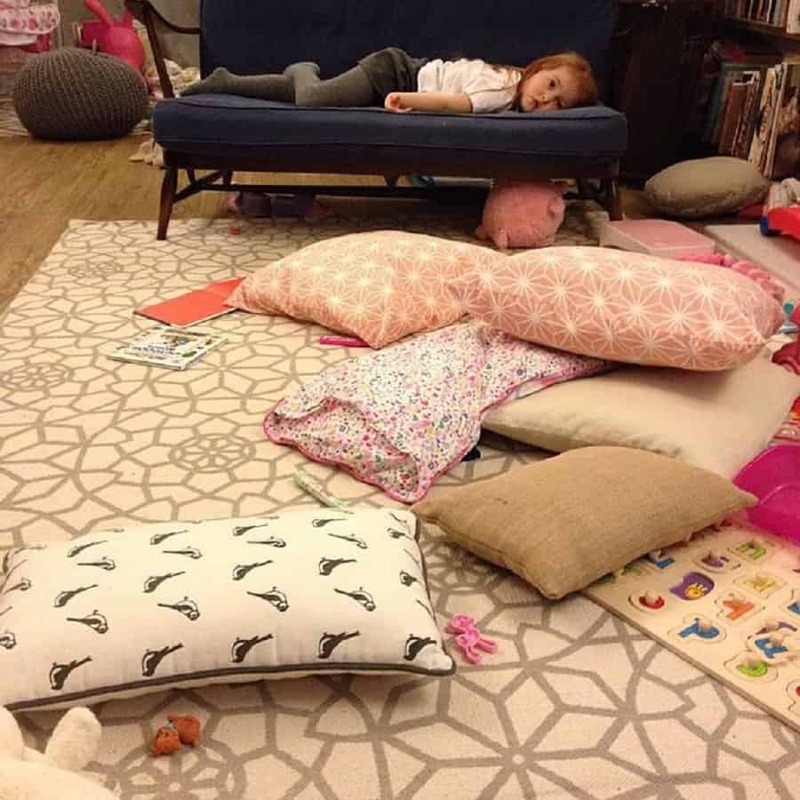 Children can get to an age where they can be really creative in the way they create a mess. 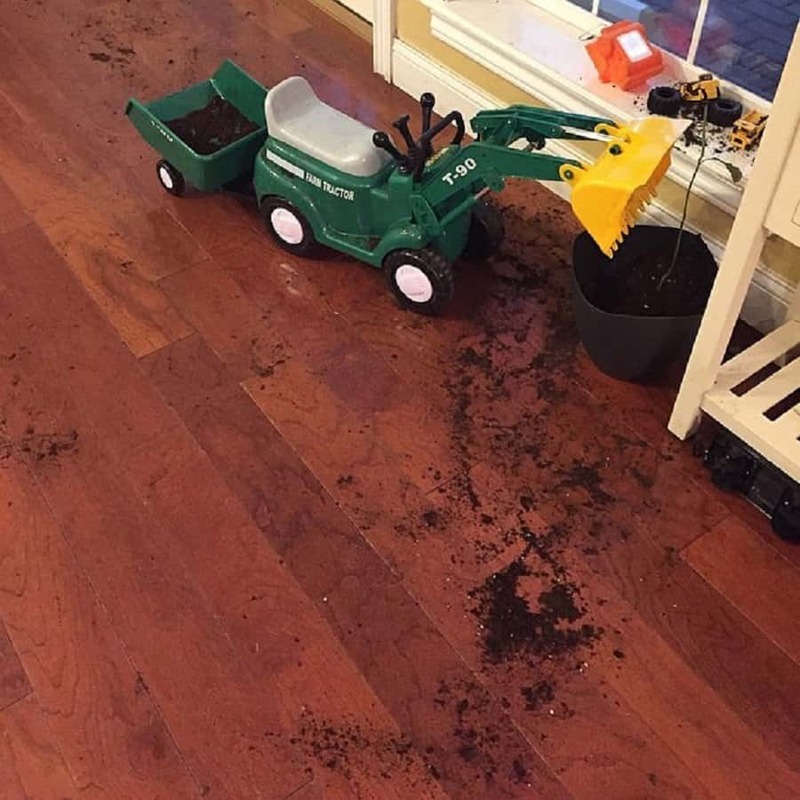 This child had to use some precision to get the mud out of the pot. 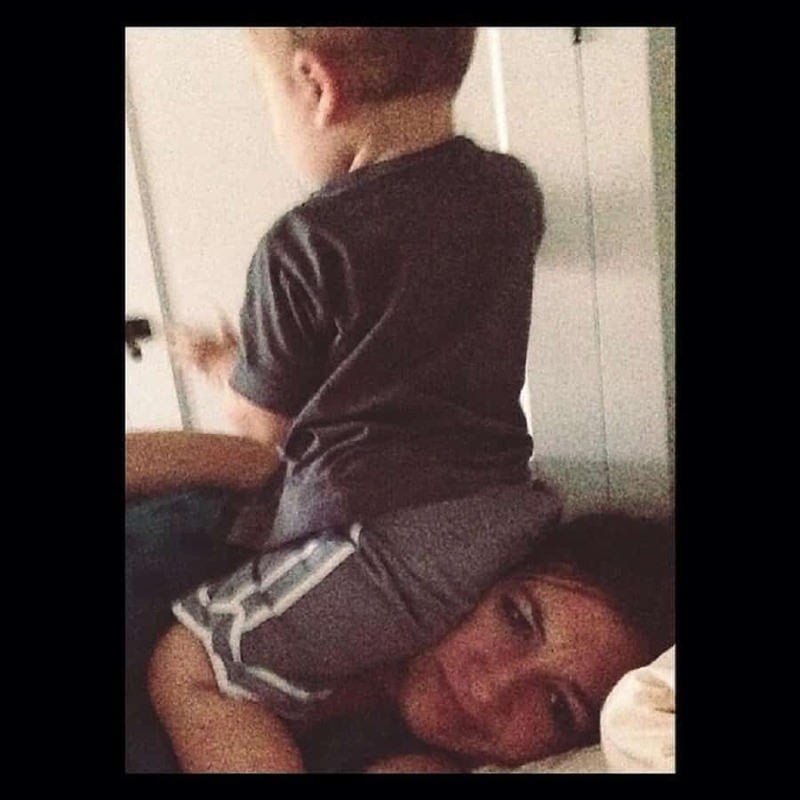 There are times when your children can push you to the limit. This picture looks like it was taking moments before a parent lost their mind. Your child may be smaller than you but that doesn’t mean they can’t be imposing. Sometimes it is best to simply surrender. 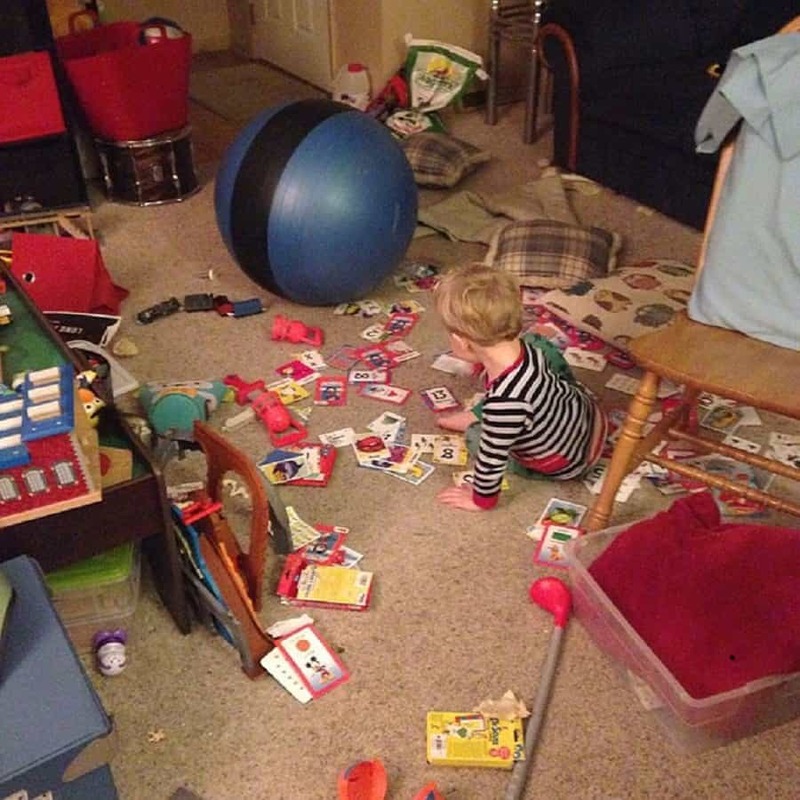 Sometimes you may feel that your child is purposely being destructive. 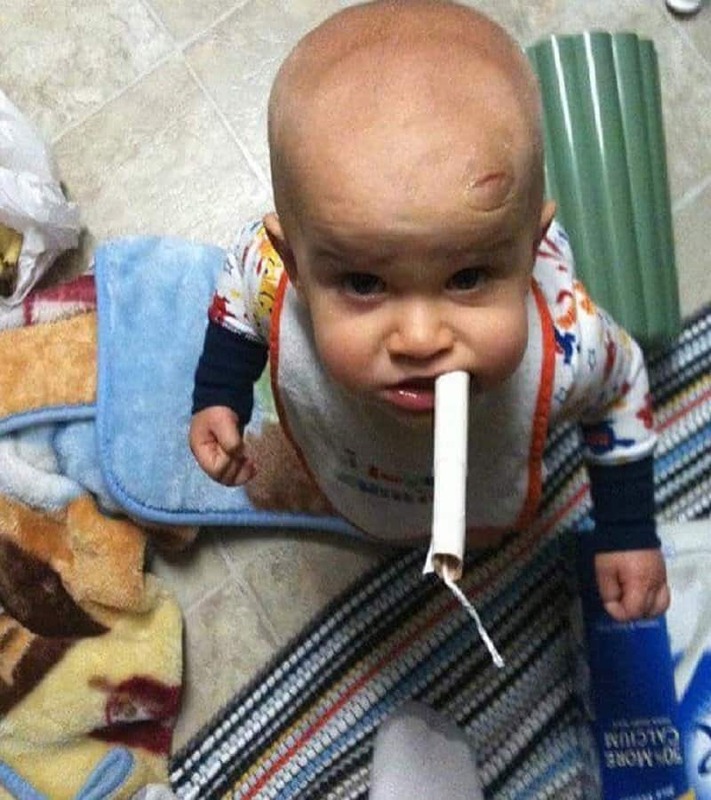 In this instance, the parent was right. There is no real reason behind the way your child behaves. It is as random as the falling of leaves. This can lead to some real photogenic moments, such as this one. 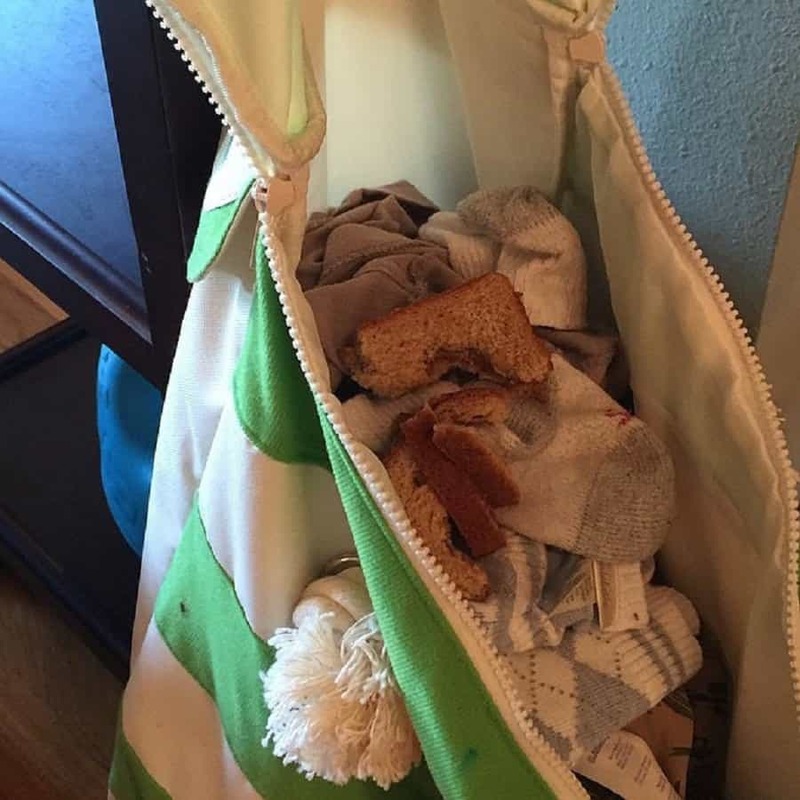 Finding a toy in the refrigerator or some bread in the laundry basket is a regular occurrence when you have a child. When both your children reach a destructive age, it is best to keep the cleaners on speed dial.